College Football Guys.com: Just a Small Way to Say Thanks! 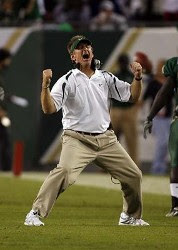 Want to have a little fun with College Football? So do we! Join us for the funniest, most entertaining College Football Blog and College Football Podcast on the web! Just a Small Way to Say Thanks! WE ARE BACK!! We brought a little piece of Christmas with us! Our College Football Guys Bowl Prediction show! In this edition we pick every non BCS bowl game, just for you. This is truly the most fun that we have all year and hope that you enjoy the show as much as we enjoy doing it. We apologize that we have been absent most of the year. Please accept this show as a token of our sincere appreciation of your support even in our absence. Hope you enjoy! Click here. Press play. Also don't forget, it is that time again. Time to see if you can beat us picking bowls. Really isn't that much of a challenge, however beating the other loyal listeners might be. 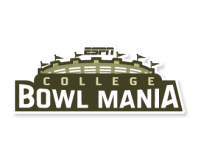 Just jump on to ESPN's Bowl Mania, create an entry and join the "College Football Guys" group, or just click on this link. Your Unbiased Source for College Football! Listen to Our Newest Podcasts! Find Posts about Your School! Baseball Bets , NBA & MORE OFF and Running!